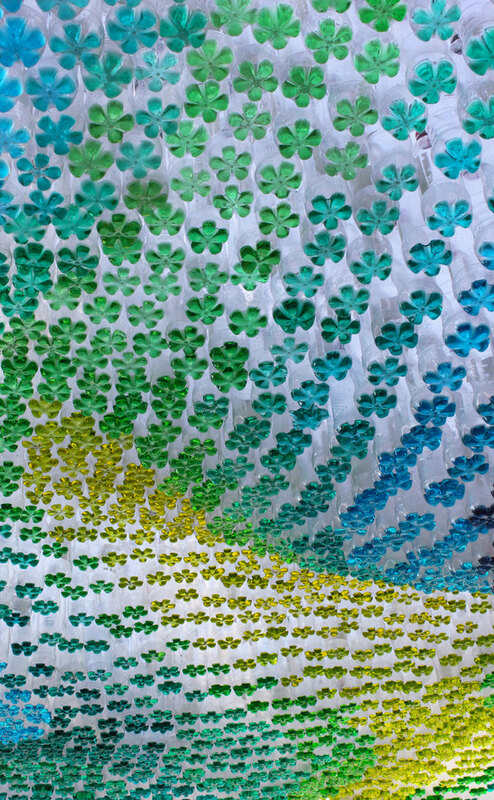 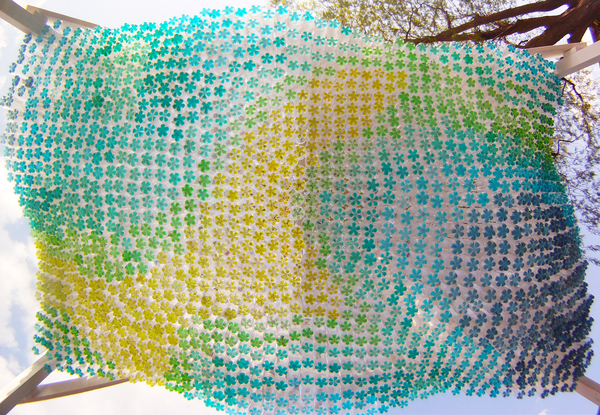 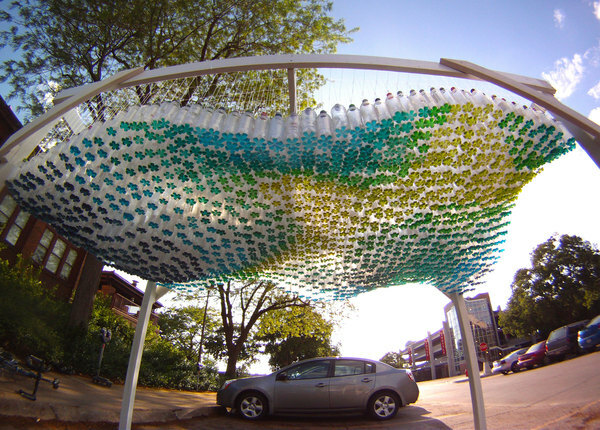 Nebraska architect/designer Garth Britzman created this outstanding canopy out of recycled plastic bottles filled with colored water. 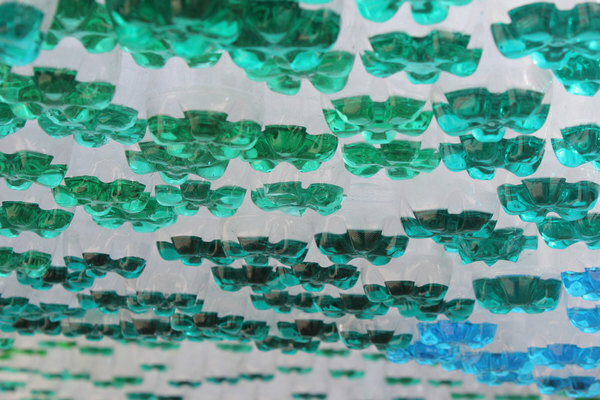 The topographical arrangement and interplay of the colored water and natural light is fantastic. 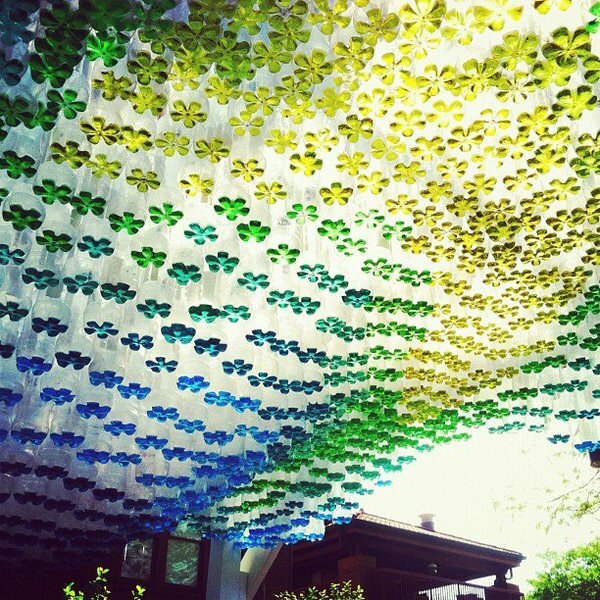 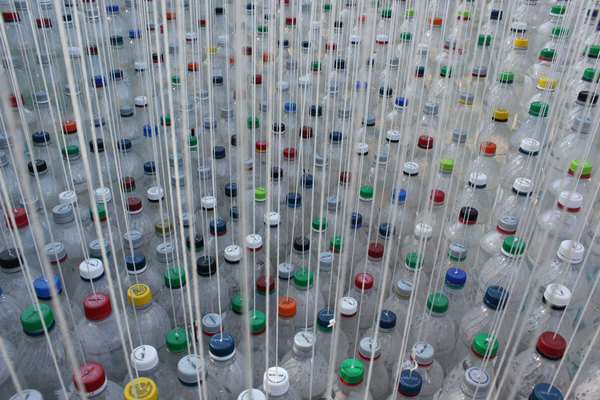 The installation is composed of over 1,500 bottles, and over 200 hours were put into the construction.